The Peace and Freedom Party supports Eugene Ruyle in the 15th State Assembly District. 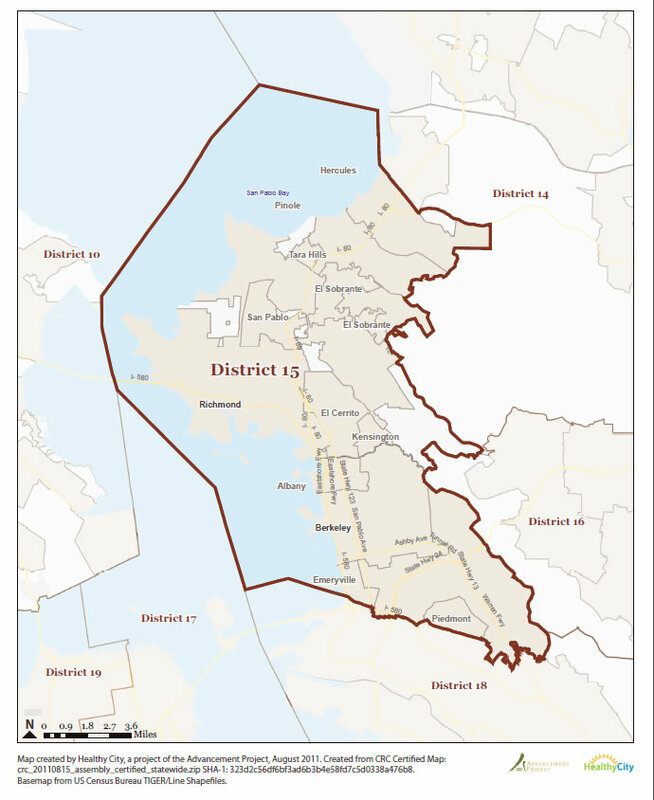 For a map of the district, see the bottom of this page. A veteran and grandfather for peace, Eugene Ruyle is the Peace and Freedom Party candidate in the15th State Assembly District, which runs from San Pablo and Richmond through El Cerrito, Kensington, Albany, Berkeley and North Oakland to Emeryville and Piedmont, and includes the campus of the University of California. Gene is a retired Anthropology professor who supports the Peace and Freedom Party Platform and Occupy Oakland. A Cal graduate, he wants to help build the movement to democratize and de-militarize the University of California as part of the larger movement to shut down the war machine, provide free education and health care for everyone, defend our personal freedoms, and protect our Mother Earth. However, electing a few socialists to the State Legislature won’t solve our problems, which will continue until workers and oppressed people around the world organize as a class, take possession of our Mother Earth and the machinery of production, abolish the capitalist system, and build a global socialist world. That’s why the Peace and Freedom Party advocates participation in mass organization and direct action in neighborhoods, workplaces, unions and the armed forces everywhere. Naturally, we urge everyone to register and organize in the Peace and Freedom Party.